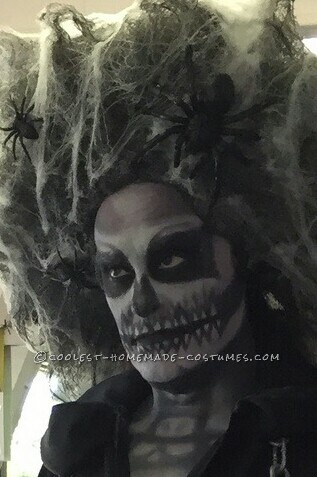 All hand painted makeup – no air brushing. 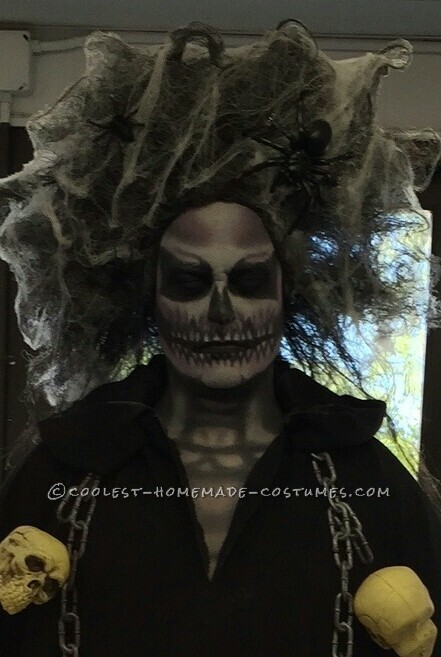 The head piece/wig is teased and sprayed with spray glue and then covered in decoration spiderweb and then sprayed again with the spray glue to give the old and worn look with spiders hot glued to it. 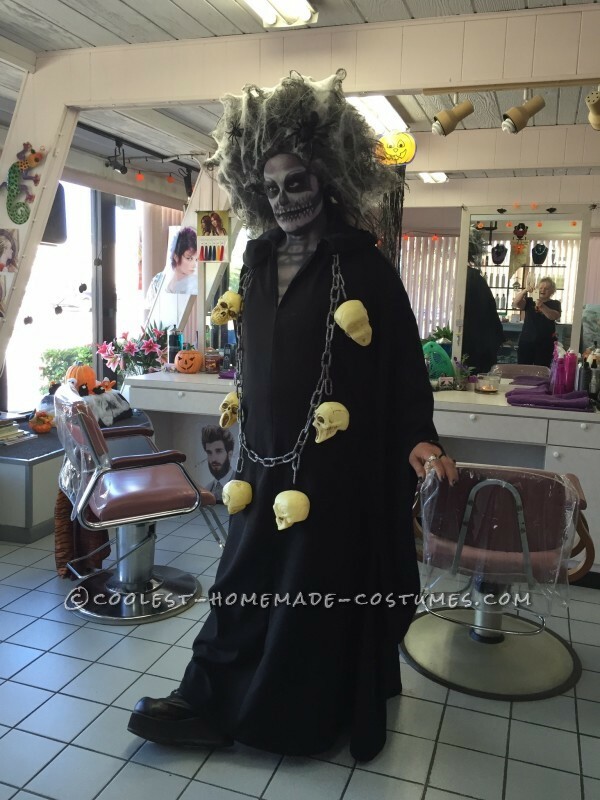 The robe/ cloak was hand made to fit and lined in black satin, 4 inch goth/KISS boots along with the hair made me about 7 foot tall, the necklace was a Halloween prop/decoration.